The electric DJ started flowing in the idol of Dakti Police Station in Lalganj area. Four youths dancing during this time have also been subjected to Curt. 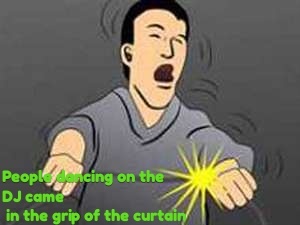 People dancing on the DJ came in the grip of the curtain. The nearby people and relatives took the community health center to Sonbasa for treatment where the doctors referred the injured to the district hospital due to the serious situation. As soon as the incident was reported, Baba Gorakh Prasad of the girl came in shock and after some time she too died. The laughing atmosphere at the wedding turned into a buzz around the moment.